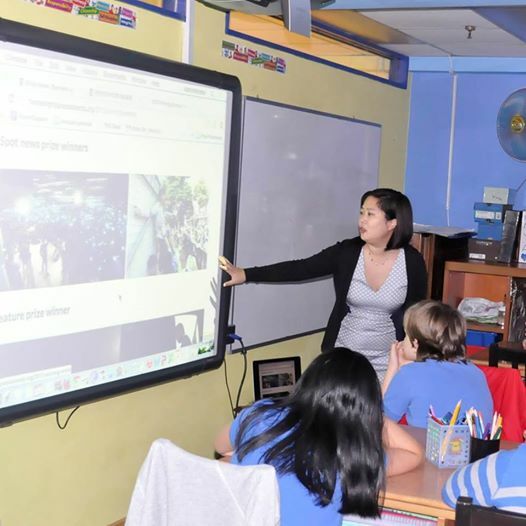 On Jan. 6, 2015, Joyce Lau (HRPA coordinator) and Michael Mo (Amnesty International Hong Kong campaigner) spoke to a class of bright 10-12-year-old students at The Harbour School Hong Kong in Kennedy Town. Joyce talked about her experience as a writer and editor at the International New York Times. And then we used a slideshow of the 2013 Human Rights Press Awards photography winners to discuss local politics and the importance of excellent news coverage. The kids were full of curiosity and great questions. Joyce Lau at The Harbour School. Photo by Michael Mo.